Airbags have been around for years, saving lives in the unfortunate event of an accident. Initially only installed for the driver of the vehicle, it’s now common to have multiple airbags protecting all vehicle occupants. These airbags are triggered by information from multiple sensors. 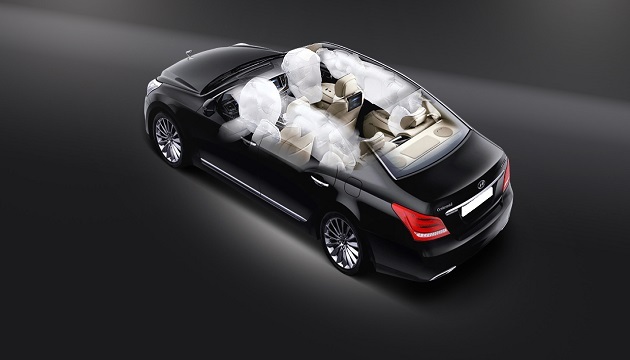 And in part because of the increase in the number of airbags, the number of sensors in a vehicle has multiplied too. Operating between the sensors and the airbags, an Electronic Control Unit (ECU) manages a bus transceiver to exchange data between the sensors and an automotive-grade microcontroller that does the decision making. With electronic components now playing a major role in automobile design, many communication protocols are available to system designers. The most common are LIN, CAN and FlexRay. All automotive networks, including those required to reliably trigger airbags, need to operate in harsh environments with robustness, reliability & low cost and these market-proven protocols help. Perhaps not surprisingly, airbag networks have additional stringent sensor bus requirements such as real-time and deterministic communications. For example, sensor data from multiple sensors in the vehicle needs to be acquired in millisecond intervals via a safe and robust communication channel and – in case of an accident – the appropriate airbag-trigger decisions must be taken immediately. Any latency from the communication path “sensor satellite to electronic control unit (ECU)” could be disastrous. 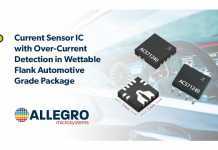 These stringent requirements led a consortium of safety-conscious semiconductor vendors and automotive system suppliers to define the Peripheral Sensor Interface 5 (PSI5), an interface for automotive sensor applications. This open standard has now been proven in millions of airbag systems. So what makes PSI5 different from the other interfaces? PSI5 was specifically created as an automotive sensor interface with a medium speed data rate, high reliability, and reasonable implementation cost. Compared to LIN, PSI5 is much faster, and it complies with automotive EMC requirements, despite specifying just two unshielded twisted wires. 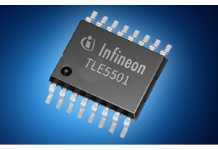 The implementation overhead and the related costs of a 2-wire interface is more cost-effective than CAN or FlexRay, or even 3-wired LIN. The PSI5’s sensor defined timeslots eliminate other issues like non-deterministic components that more sophisticated architectures would introduce. The PSI5 is based on a highly reliable two-wire current communication with a typical data transmission speed of 125kbps (max 189kbs). This is the most resource efficient way to connect multiple distributed sensor satellites in a vehicle, as it uses only two wires for both the sensor supply and the communication. A Manchester-encoded current signal communicates from the sensor node to the ECU. In the opposite direction – from control unit to the sensor – the MCU can generate a voltage-encoded signal. A very simple PSI5 setup consists of an asynchronous point-to-point connection: a single sensor satellite is attached to a control unit. 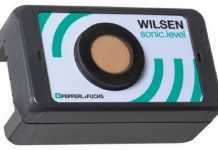 When power is turned on, the satellite starts to transmit sensor data to the ECU. The PSI5 specification also defines more complex networks consisting of multiple sensor satellites in a parallel bus or daisy chain topology. Its clear PSI5 has made its mark on airbag systems. Is there also life beyond the airbag for this simple, reliable bus? Enter ST’s L9663 – A Standalone PSI5 Transceiver!The STMicroelectronics L9663 features a dual-channel PSI5 transceiver with configurable support for legacy satellites or future devices based on the latest specification. It allows either low-end 8-bit or high-end 32-bit microcontrollers to control the PSI5 bus without processing overhead, reduces additional circuitry and offers more options for fault management. With the STMicroelectronics L9663 a whole new set of automotive sensor applications is on the horizon.